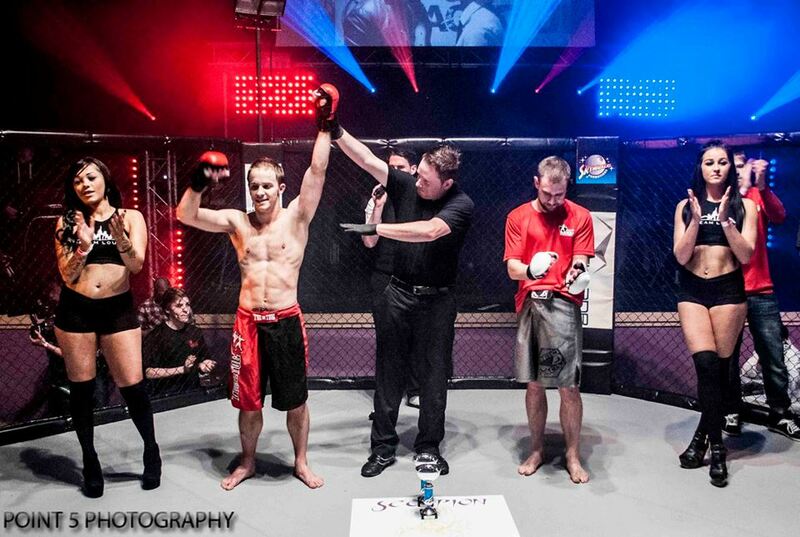 Raged UK MMA 4, took place last night at Swindon M.E.C.A to an electrified crowd. With 11 MMA fights on the card including two title fights and one professional K1 bout the crowd were treated to a beautiful night of violence. 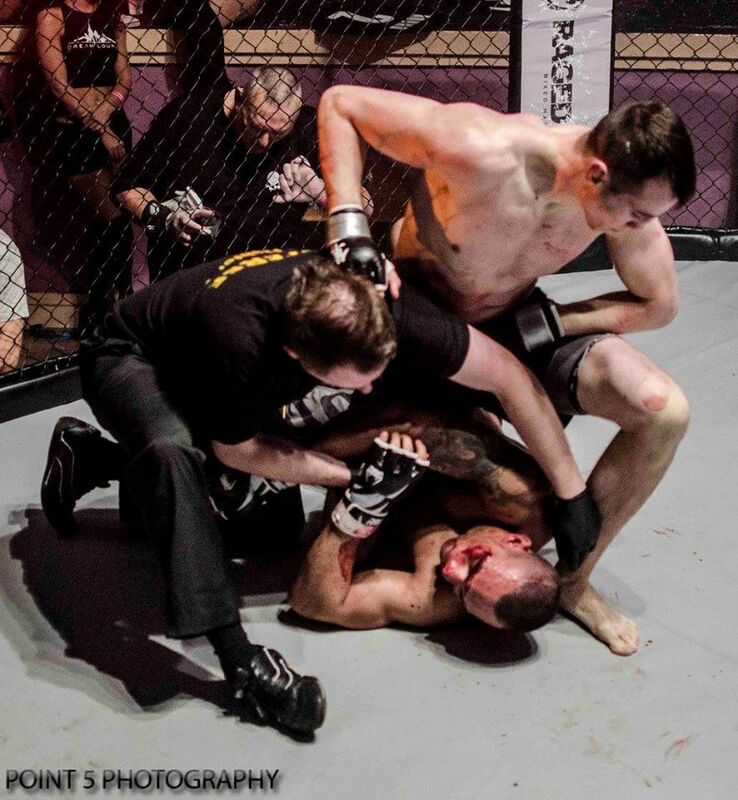 Raged UK MMA will be taking place this Saturday, June 4th at M.E.C.A in Swindon, for their fourth event which will showcase professional and amateur mixed martial arts whilst also having the addition of a professional K1 bout. 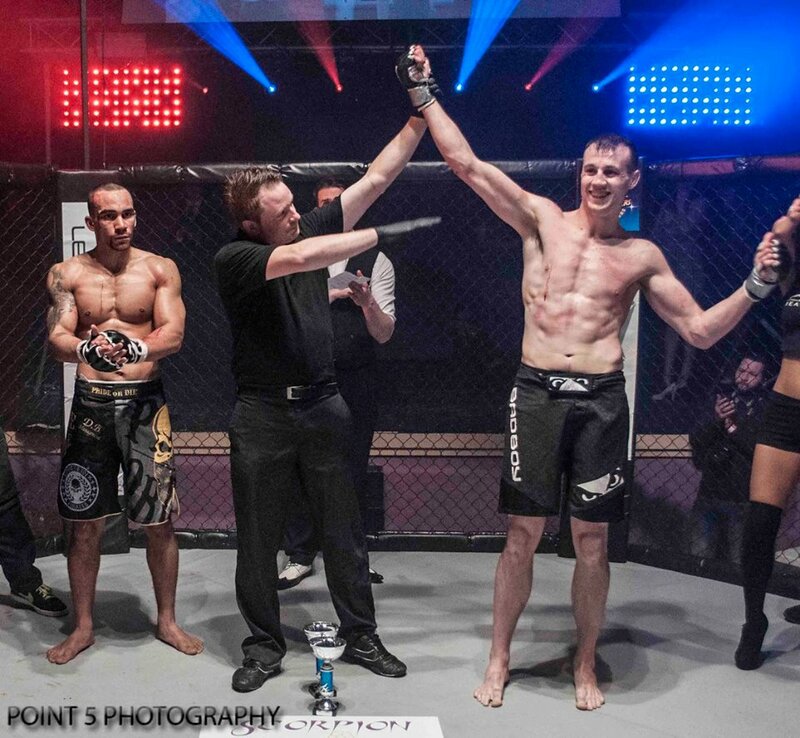 Swindon based promoter Gary Turland and Trainer Michael Osbourne will be bringing mixed martial arts back to the town of Swindon after the success of the first three events over the last year. Also attending the event will be two special guests; former BAMMA athlete Alex Reid, who will be taking part in Bellator’s first UK event on July 16th and former UFC and Cage Warriors athlete Che Mills will also be in attendance. The event is headlined by Kenton Kauppinen who faces Matt Da Silva for the Heavyweight title and Co-Main event is for the vacant welterweight title between Swindon’s own Phil Wells who takes on Milton Keynes’ own Warren Kee. Limited tickets on the door which will be subject to a surplus. 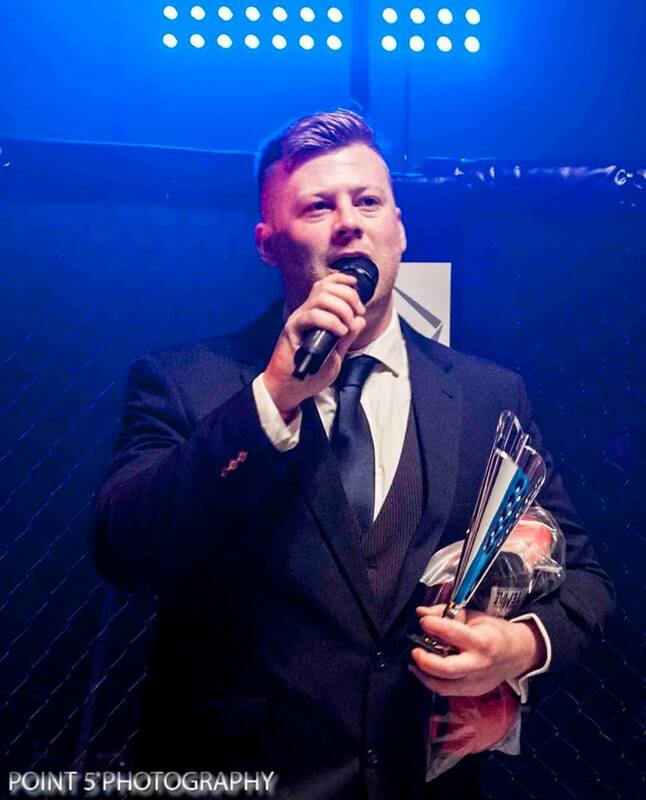 Swindon based promoter Gary Turland and Trainer Michael ‘Oz’ Osbourne will be bringing Professional and Amateur Mixed Martial Arts (MMA) back to the town of Swindon after the success of the first two RAGED UK events last year. 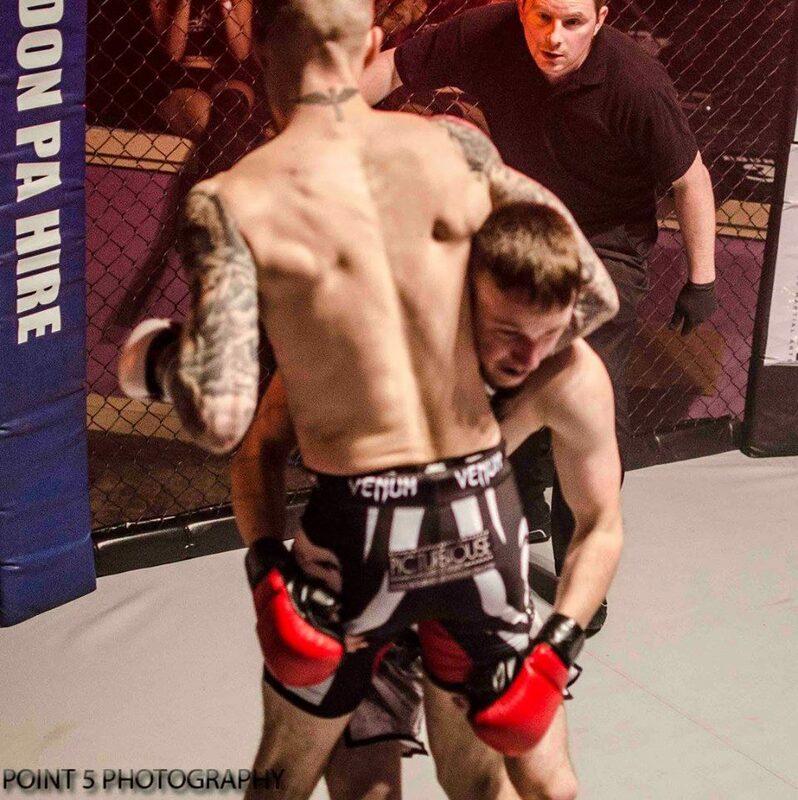 RAGED UK will be taking place this Saturday, February 27th at MECA, Swindon which will host a fight card of six amateur MMA bouts along with five professional MMA bouts. Although it will be headlined by Swindon’s Phil Wells and Alex Brunnen, I can guarantee that with the addition of the first ever female bout on the card between Bristol’s L.J Adams and Kent’s Emma Delaney, both of whom are former Cage Warrior athletes, it will be these two females who will be stealing the show. Tickets are £20 and £40 VIP available from all fighters, The Forum, The Khyber; alternatively you can buy online at www.swindontickets.co.uk or click on their social media pages Facebook/Twitter. Tickets are subject to a surplus charge on the door. 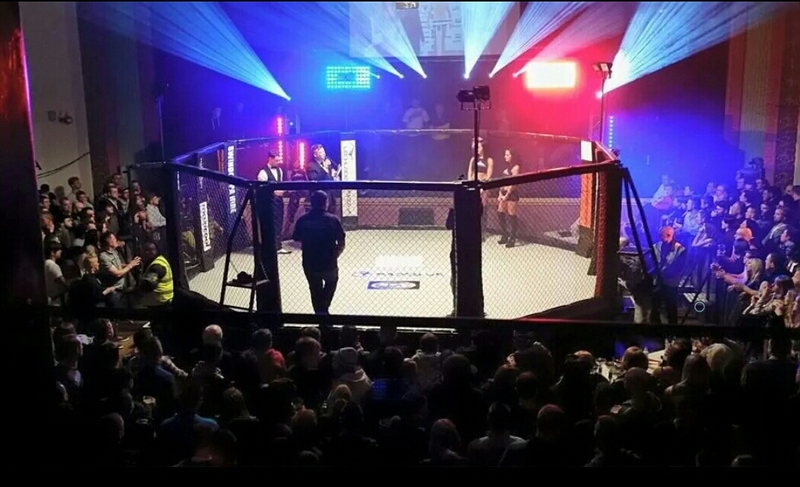 RAGED UK MMA, held their first event (under their new promotion name) last night [March 7th] at MECA Swindon to a new breed of sports fan in the town. 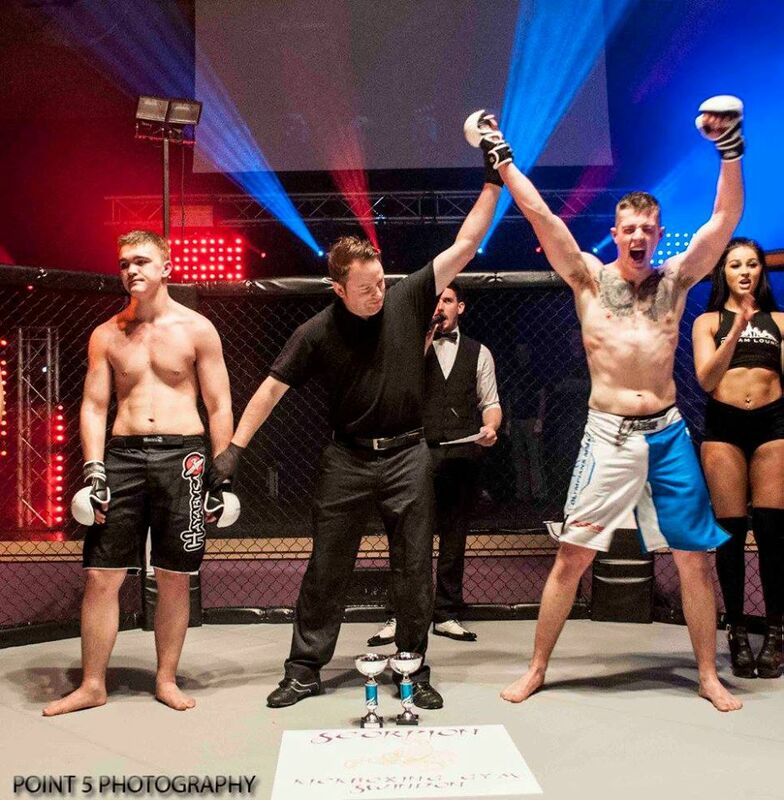 The event which was billed to showcase local, amateur and professional fighters, was also to highlight the growing sport of MMA in Swindon. With local gym Swindon Vale Tudo/Scorpion Kickboxing Gym being the host club, having five fighters compete on the night; which was meant to be six but 20 mins before Craig Rawlins was due to go out, his opponent Mathew Thorn, withdrew, citing a shoulder injury during warming-up the host club did not let the home fans down, securing five out of five wins. The night was a huge success for everyone and Promoter Gary Turland really did pull out all the stops for his second show, so much so, RAGED 2 is now already starting to be matched for their summer show. Below is my play-by-play account of all the action that happened on the night. Disclaimer: Although every effort is given to give a clear and precise account of actual events, due to the nature of where I am seated, it is at times difficult to view every aspect of every fight through everyone’s angle, therefore this play-by-play is my account from my view. Round 1 Jake Oliver open ups the round straight on the attack and straight in with punches, Tommy Taylor comes back with leg kicks and a spinning leg kick. Oliver goes in and clinches up with Taylor, Taylor trying to avoid this leaves his neck out and Oliver tries for a standing guillotine to no avail. (referee Nathan Webb stops action briefly as the standing guillotine was curving on Taylor’s spine which is not allowed), action continues for which both men are landing with their own shots, back and forth in some great exchanges. Oliver manages to get the takedown and is angling for a submission but Taylor is no easy feat as he himself is trying to get a submission and attempts an Armbar just as the round closes out. Round 2 Tommy Taylor playing it smart and keeping Oliver on the end of his punches, Oliver does a spinning kick and follows through with a superman punch. Taylor gains ground control and he is on his back as Oliver is dishing out punches to Taylor’s face, he let’s Taylor stand back up and both guys once again exchange shots back and forth in this exciting fight. After a scramble the action is back on the canvas as Oliver attempts an Armbar in the final few seconds in this second round but he gives up on the submission to end the round off on top of Taylor dishing out some GnP. Round 3 Tommy Taylor is straight out with a sense of urgency and manages to get Oliver towards the cage fence and is kneeing Oliver. Oliver is holding his own as Taylor is now trying for a single leg but the attempt fails for which Oliver returns with a great kick followed by a one, two punch combination. Taylor manages to get Oliver to the canvas but Oliver lands on top in top position and starts dishing out some GnP, Taylor rolls to his side to try to evade Oliver’s shots and ends up trying to turtle with Oliver still firmly attached to Taylor as Oliver has him in a figure four body lock, all the while still raining blows anyway he can on Taylor. Taylor manages to reverse out of the body lock position in the final few seconds of this third round to end up in top position, on top of Oliver. Round 1 Dean Hart is straight out and is straight in with vicious leg kicks to Wes Thomas. Thomas tries to grab Hart’s leg to take him down for which he succeeds briefly as Hart pops straight back up. Hart lands another vicious leg kick which buckles Thomas who goes to the ground and referee Nathan Webb stops the fight. 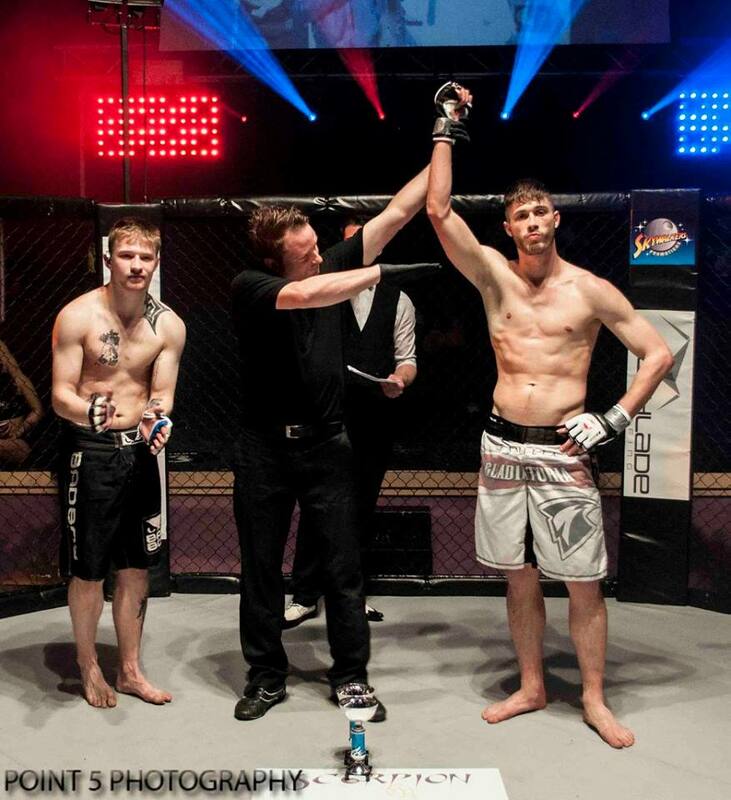 Round 1 Jay Thomas comes out and tries to get Guy Lewis against the cage, both guys scramble with some great reversals from both and ultimately Thomas ends up on bottom in a side position, all the while punching and using short elbows, trying to gain top postion on Lewis. Thomas rolls onto his back, with Lewis in a dominant position he is pummeling on shots. Thomas is in no position to defend himself as Lewis is raining down shots and referee Nathan Webb calls a halt to the action. 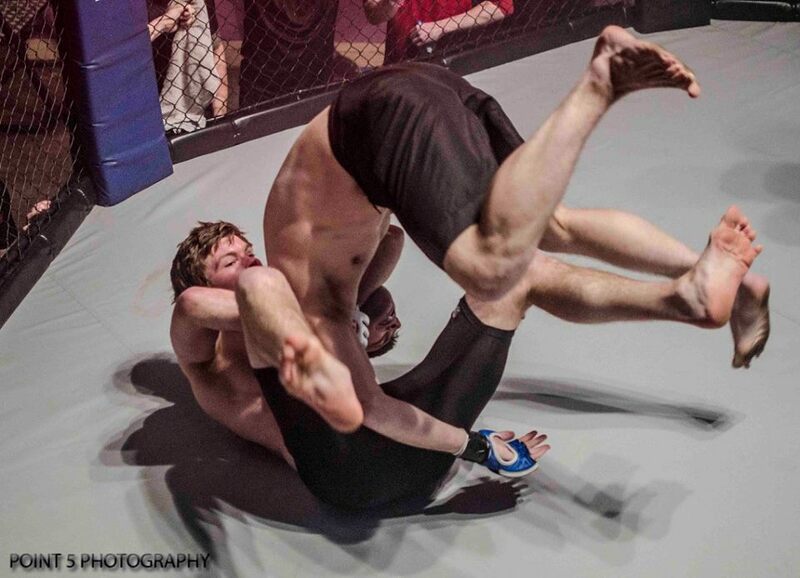 Round 1 Tom Enstone is straight out first with fierce leg kicks, he then manages to take Jim Lane down leaving his neck exposed for which Lane capitalizes on and catches Enstone in a Guillotine. 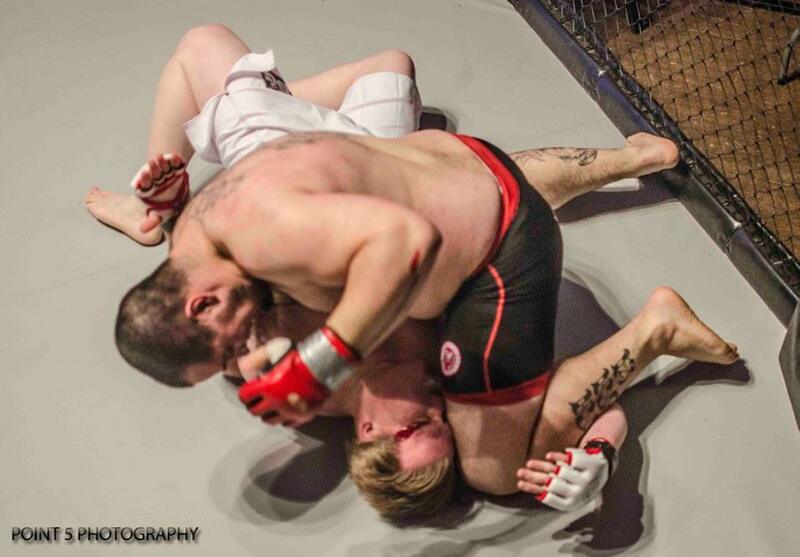 Enstone is trying hard to get out of the guillotine by walking round on his side which eventually pays off as he manages to escape Lane’s hold and gain’s top position, once out Enstone is not holding back as he throws down furious and vicious punches and hammer fists, he then attempts an Armbar for which is not fully locked in at first attempt so he slightly adjusts himself and then finds Jim Lane tapping to his awesome Armbar. Round 1 Terry Webster comes out fast and so does Nemo but its Webster who knocks Nemo down, Nemo is down straight away and for a brief moment Webster manages to throw some leather, but Nemo gains top position, he losses position briefly but regains it, then Nemo starts to unleash his brutal Elbows, throwing punches which opens up a huge cut above Webster’s eye with vicious GnP. Referee Nathan Webb calls a halt to the action. Round 1 Adam Little is straight out with a hard leg kick to the thigh of Reece Pearson followed by a straight jab, a few more leg kicks follows by a kick to Pearson’s head, who then instantly falls face first into the canvas, Little does go off for a premature celebration and to his and everyone around’s astonishment Pearson gets back up of the floor and stands up, Referee Nathan Webb says continue and from that moment, Little is like a Bull in a China shop. He rushes over to where Pearson has just stood up, straight in with ferocious punches hoping, this time to finish the job off. Pearson attempts to grab at Little’s leg for a takedown but leaves his neck out and Little capitalizes on this and sinks in a Standing Guillotine for which Pearson has no time to ‘Tap’ too as he goes to ‘Sleep’. 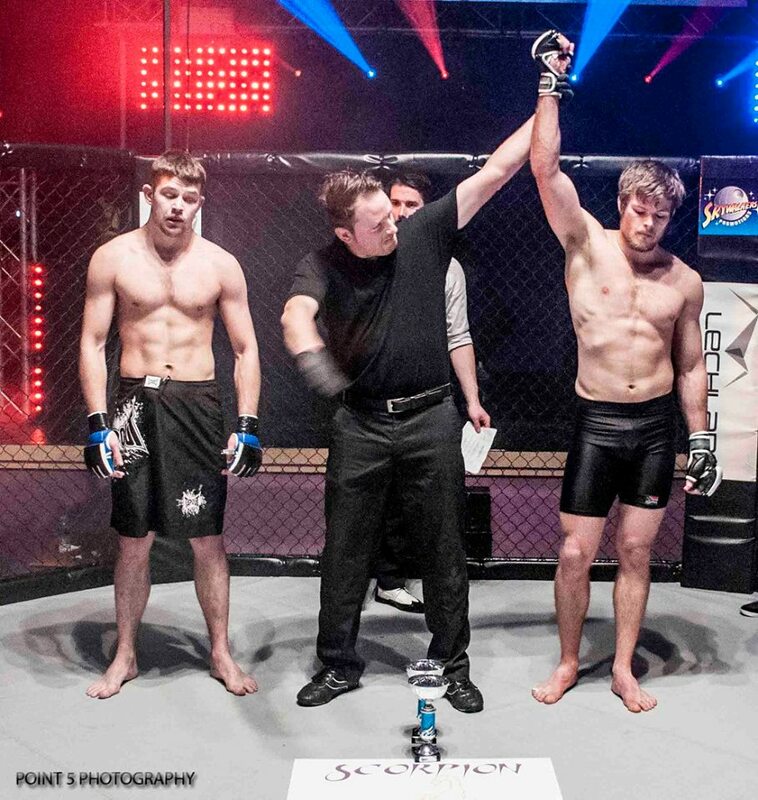 Round 1 Tyler Thomas comes in and fakes a low kick, looks to take Alex Brunnen down, pushing him up against the cage. Brunnen gains underhooks and pushes Thomas back off. 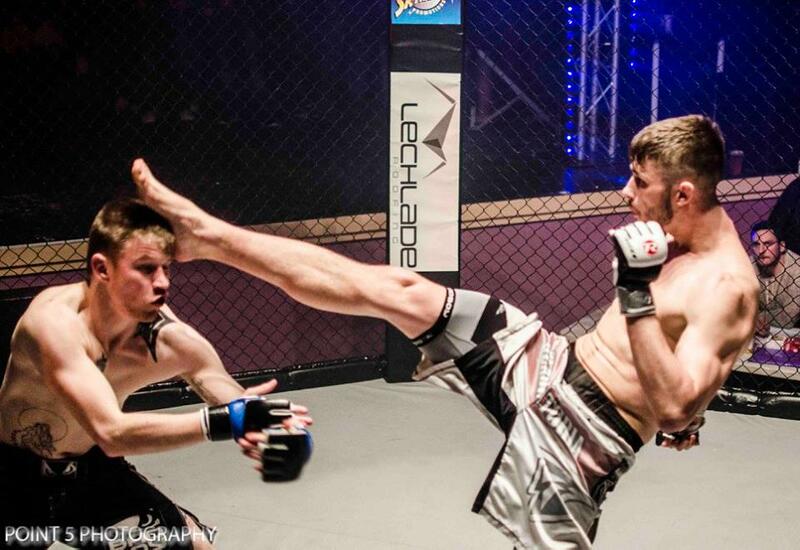 Brunnen lands a front kick for which lands on Thomas’s head who again is in the middle of an attempt for another takedown of Brunnen, pushing towards the cage, Brunnen has a great position of Thomas to his left side, placing himself seated on the canvas with his left arm still positioned firmly around Thomas’s right side, all the while he is landing the odd shot with his right fist. There is a scramble as Thomas is pushing Brunnen a lot more against the cage but both fighters mange to get back to their feet. Brunnen in again with a front kick followed by a few punches, Thomas looks for yet another takedown but Brunnen is wise to his game. Both fighter’s exchange a few more punches before Thomas once again comes in, this time charging, with an attempt at another takedown for which Brunnen is pushed across the octagon and up against the cage; with his wide defence stance and tight grip of Thomas, Brunnen again seats himself onto the canvas, adjusting his position, after sensing that Thomas has left his neck out (just like he did on the last takedown attempt), rolls him slightly to his right to gain the victory via Power Guillotine. 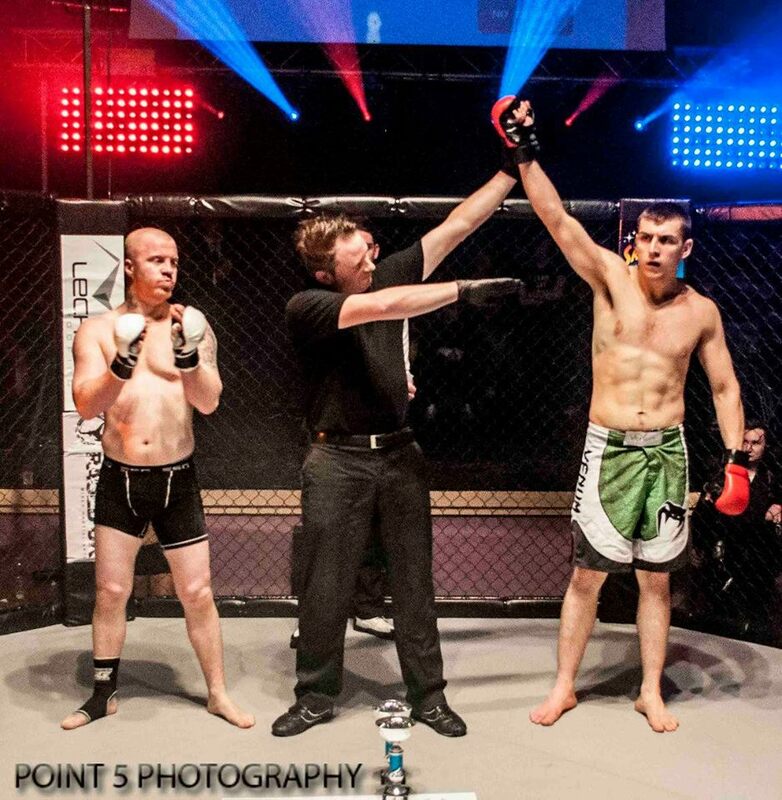 Round 1 Jesse Jarvis is first out and boy he is like what a red rag is to a bull, he comes rushing out at Phil Wells, rushing him against the cage, throwing wild punches for which a few land, he attempts a standing guillotine but Wells is far to slick and the attempt fails. Wells then picks up Jarvis and slams him to the canvas for which the crowd erupt into a chant of ” Wellsy, Wellsy, Wellsy”, Wells is then in top position for where he lands vicious Ground and Pound with his elbows cutting open Jarvis. 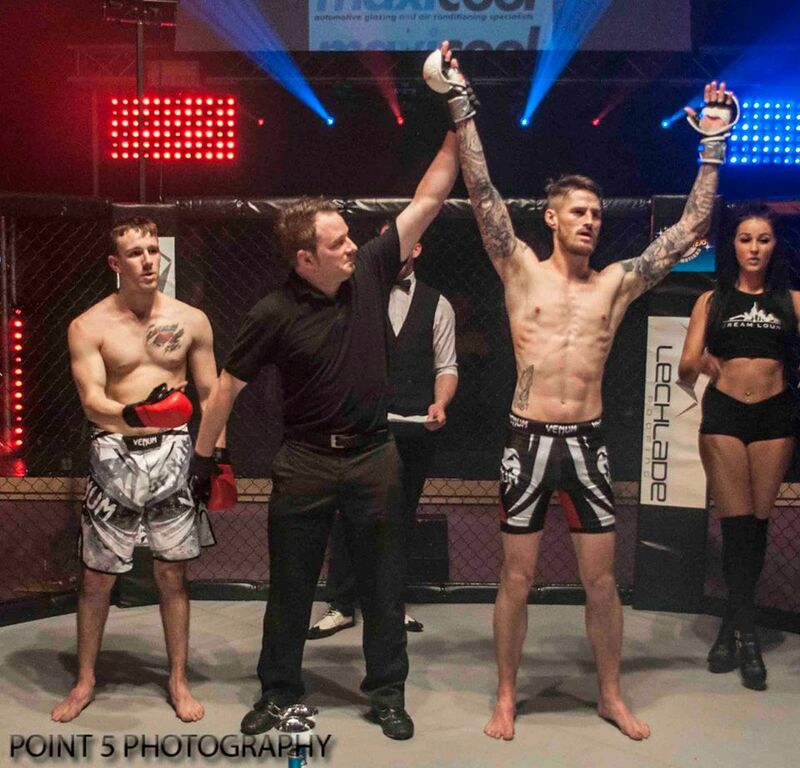 Wells carries on the onslaught of pounding and pounding, viciously until referee Nathan Webb had finally saw enough of the action and called a stop to the fight. 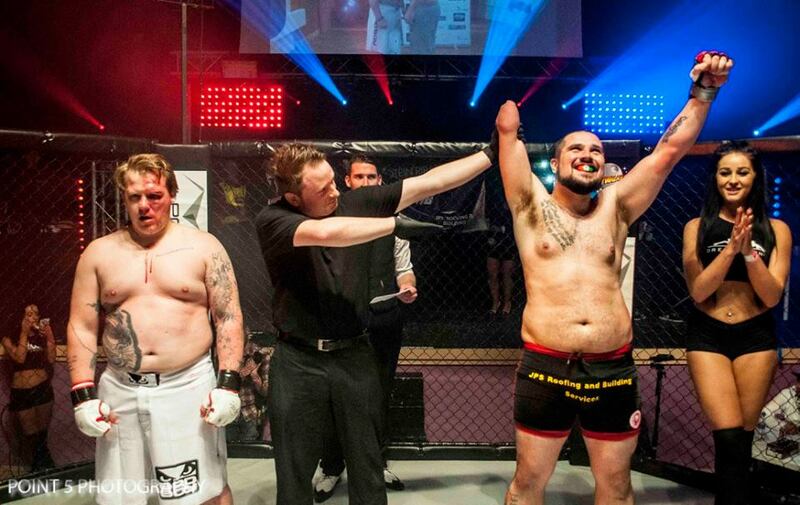 RAGED UK MMA, held their first event last night at MECA Swindon to a new breed of sports fan in the town. 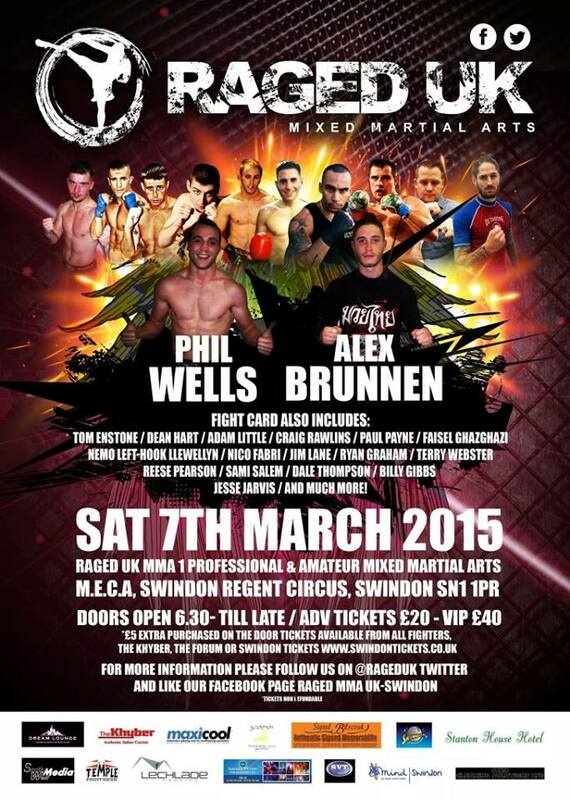 The event which was billed to showcase local, amateur and professional fighters and also to highlight the growing sport of MMA in Swindon. The night was a huge success for everyone and Promoter Gary Turland really did pull out all the stops for his debut show, so much so, RAGED 2 is now already starting to be matched for their summer show.